How can you become prime minister without a vote? Theresa May became U.K. prime minister on Wednesday, taking the reins of government at the most turbulent time in the country's postwar history. Enormous political and economic uncertainty hangs over a divided country that needs to find its new place in the world after voting to leave the European Union. 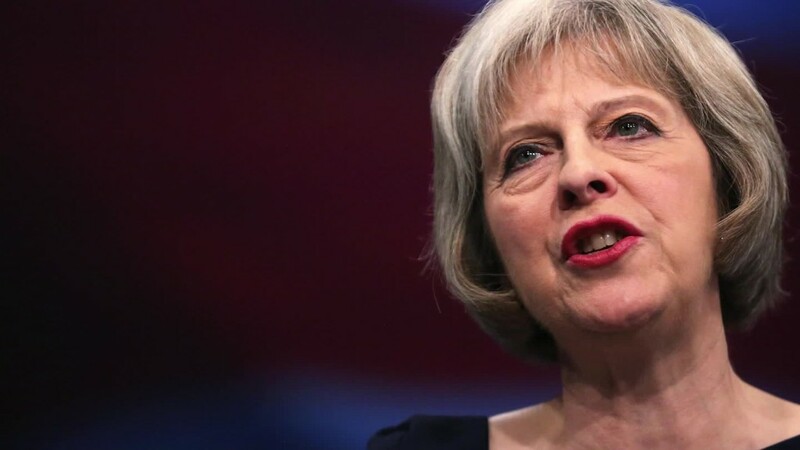 May wanted to remain in the EU but will respect the referendum result: "Brexit means Brexit," she wrote this week. Her first job is to appoint an administration. Then she'll have to do three things very quickly or risk drama turning into crisis. EU officials, and business leaders, want May to reveal her strategy for separating the U.K. from its biggest trading partner as quickly as possible. Companies need time to plan ahead. 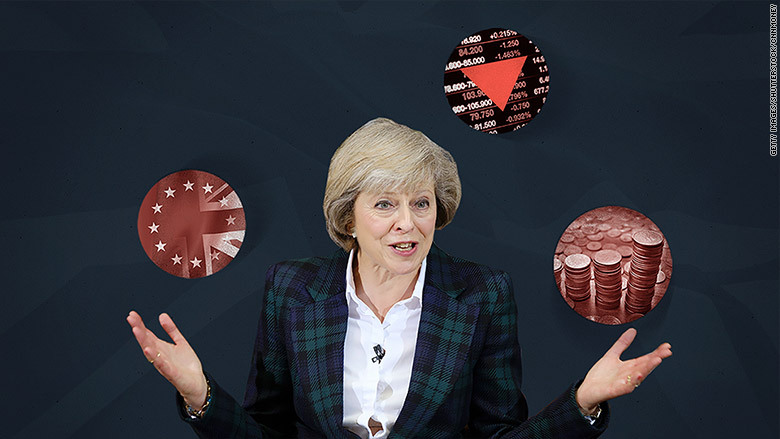 Prolonged uncertainty over their access to European markets in future may mean they postpone investments, delay hiring or even move operations and staff out of the U.K.
May has three options to choose from. The U.K. could join the European Economic Area, a treaty that gives access to EU markets for some non-members such as Norway. But that could be tricky politically because it won't give the U.K. full control over its borders, as demanded by many Brexit supporters. Or May could try to negotiate a bilateral agreement, similar to the free trade deals Canada and the U.S. have been trying to do with the EU. The downside is that the discussions would be very complex and could drag on for years. Third, the U.K. could rely on a relationship with the EU governed by World Trade Organization rules. Countries such as Brazil trade with Europe on this basis. This option would impose significant barriers to trade, and would likely cause the most damage to the British economy. Until recently, the U.K. economy was cruising, creating jobs and attracting investment from all over the world. That picture has changed dramatically since the Brexit vote shock. Consumer confidence has collapsed, suffering its sharpest fall in decades. A survey by market research firm GfK found that 60% of respondents expect the economic situation to worsen over the next 12 months. Business has also become much more gloomy about the future. A Credit Suisse survey of top executives carried out last week revealed that 66% of big European companies will postpone or cut spending in the U.K. in the next six months. Growth forecasts for this year and next have been slashed. Stagnation looks certain, a recession is possible. The Bank of England may decide to cut interest rates as early as this week, and provide more stimulus over the coming months, but more cheap cash is unlikely to be sufficient to prevent a sharp slowdown. May has signaled that government could provide stimulus too, abandoning plans for a budget surplus by 2020. She could delay some spending cuts, and borrow more to invest in infrastructure projects. But she has little wiggle room -- the U.K. is already running the second highest budget deficit of any major advanced economy after Japan. If May delivers on the first two points, the third becomes much easier. The stakes are high. Britain relies on investors to lend it money to cover its budget deficit, and to fund a yawning gap between what it spends on imports, and what it raises from exports. That wasn't a problem as long as foreign money was pouring into the country. The pound has undergone a big devaluation since the Brexit vote, dropping about 12% against the dollar. That makes U.K. assets cheaper for foreign investors, and should help keep the cash coming. There may be evidence of that happening already: Foreign buyers snapped up two British companies this week. Still, the risks haven't gone away. And investors still want much more clarity about the future for the U.K. economy. George Osborne, who has run the U.K. Treasury for the last six years, was in the United States this week to reassure investors that Britain is still "open for business." Writing in the Wall Street Journal, he repeated his goal of cutting corporate tax to 15% or lower to attract more international business. But hinting at tax cuts won't be enough for some companies rethinking their investments. "Free movement of labor and access to the [EU] single market rank as more important than a potentially low U.K. tax regime," noted Credit Suisse's analysts on Wednesday.